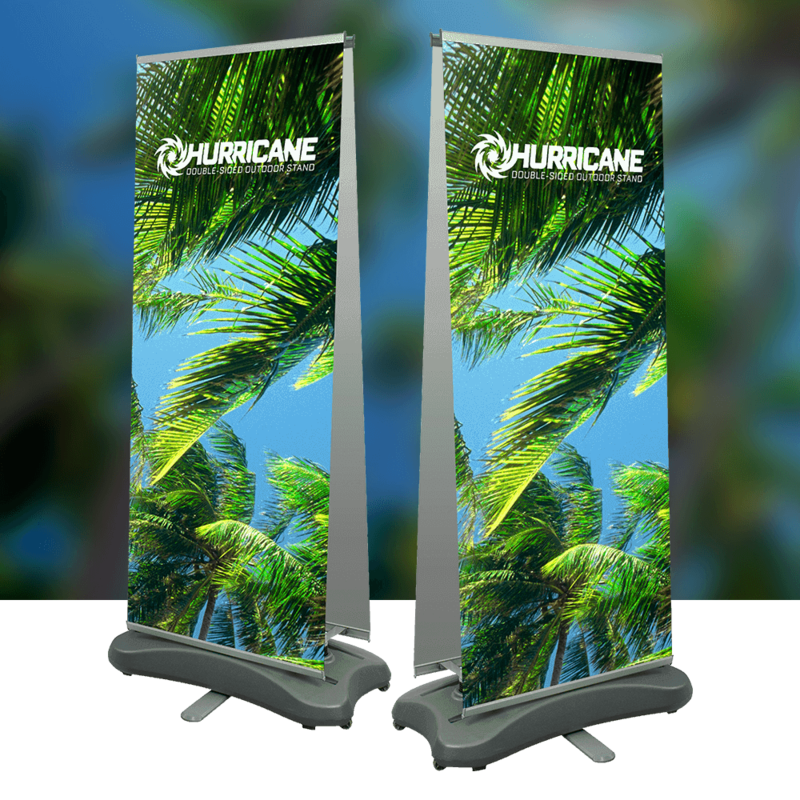 The Hurricane is a durable outdoor tension roller banner system which can be used either single sided or double sided (each with a different message) to create maximum impact. 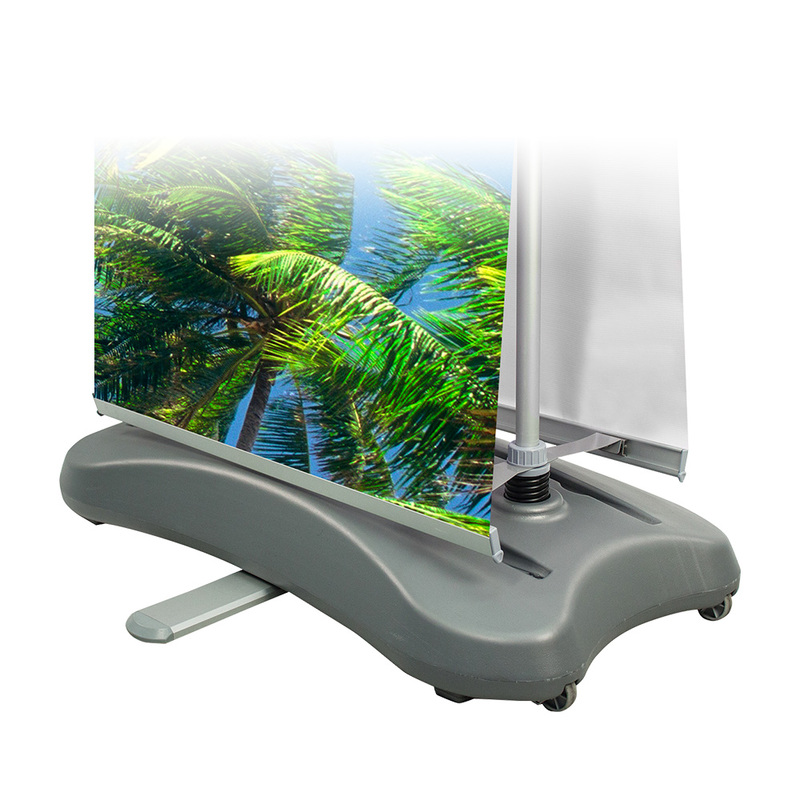 Ideal for both indoor and outdoor shows the Hurricane is easy to assemble and transport. The large base of the Hurricane banner can be filled with up to 28 litres of water to create a heavy stable unit. The addition of a handle and wheels on the base means that the unit can still be easily moved even when it is full.